Nigerian prophet T B Joshua. 67 South Africans died and scores of others sustained injuries, after a building at his Synagogue Church of All Nations in Nigeria collapsed on Friday. JOHANNESBURG - Controversial preacher TB Joshua paid survivors of a Nigerian building disaster R2,000 each, a South African official said on Saturday. "Btw TBJoshua gave survivors of the collapsedbuilding R2000.00 each as they were returning to SA. Another bribe or gift?" Clayson Monyela, a spokesman for the Department of International Relations and Cooperation (DIRCO) tweeted on Saturday. Monyela later told eNCA.com that he had heard about the R2,000 payment from South Africans who had survived the tragedy. South African officials say more than 80 South Africans perished when a guest house at Joshua&39;s Synagogue Church of All Nations collapsed on Friday. eNCA.com was unable to reach Joshua immediately for comment. But Adaure Achumba, eNCA&39;s correspondent in Nigeria, said journalists in Lagos had confirmed reports that the incident had happened. Btw TBJoshua gave survivors of the collapsedbuilding R2000.00 each as they were returning to SA. Another bribe or gift? They&39;re already calling friends and family to warn me to stop. Let me make myself clear. I won&39;t unless they STOP me! 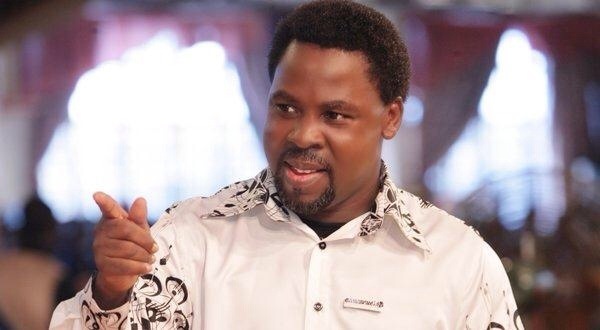 Reporting of building collapse in the Nigerian media is too kind on TB Joshua. Could this be because his doles out cash daily to reporters? Last Sunday, I was the only journalist who turned down TB Joshua&39;s N50,000 bribe offered to each reporters. I&39;ve just been told that foreign journalists were also offered money but they politely turned it down.